I created this weird little dish back in 2006, right after I moved in with Johnny. He came home from work and said "What smells like fireworks!?!" so we also refer to it as "Firework Pie." To date, this is still Johnny's favorite dinner I've made him, with Egg-chinni Parmesan as a close 2nd. As mentioned before, both of us really enjoy Mexican food and could eat it several times a week. I was really in the mood for something taco related, but the only thing we had on hand at the time was a can of refried beans and salsa. No taco seasoning, no shells, no burritos, nothing to make the familiar dinner. Then I remembered a layered dip that students would always bring to my mom's piano recital receptions and played off of that idea. Thus, taco (aka firework) pie was born! Mix the flour, beans, and baking powder until a soft dough is formed. You'll need to flour your hands and keep smearing the beans so the moist parts touch the flour, it'll take a minute or two of working. Spray a pie pan and flop the mixture into the pan, spreading it out evenly and up the sides to form a refried bean crust. Cook the meat in a skillet, drain off any acquired grease, and stir in the diced onion (I didn't cut mine small enough tonight) and salsa. Spread the mixture into the uncooked crust and cover everything with shredded cheese. Pop into a 350° oven, uncovered, for 30 minutes until the onions become tender and the cheese browns a bit on top. Cut and serve as you would a regular pie and top with taco-inspired toppings of your choice. We used sour cream and extra salsa tonight, but have also added avacado in the past. I'll take exciting news for $500, Alex. 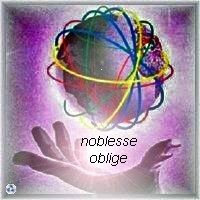 Sophia of Burp and Slurp~ awarded me with the Noblesse Oblige award! What has my blog achieved thus far? Well - it's far exceeded my expectations! I started less than a year ago, in September of 2008 and can't believe how much a part of my life it's become! As many of you know, Johnny has a food allergy and cannot have whey. Whey is a milk protein, separated when making cheese. It's naturally found in a few cheese and dairy products, but otherwise was used for cattle feed. Until a wonderful little phenomenon we all know as "processing food" took off. Whey is a cheap, easy filler full of lots of protein to bulk up a product. They sneak it into crackers, breads, sauces, gravies, ice cream, you name it. One week we can buy a product safely, and the next their New and Improved! version has whey high up on the ingredient list. Whey isn't a widely recognized food allergy, as it's usually clumped in with dairy, but it's definitely on the rise. Just in the three years I've had first-hand experience with this allergy a lot of labels will bold whey for us to easily see and there's a lot more information out there. I thought if somebody was as lost as I had been and googled around, I'd like to be a great resource of healthy home-made meals that are possible to cook around a specific food allergy. If I've been able to provide that for somebody, then I'm happy. Of course having all my recipes, notes, and pictures in an easily categorized format isn't a bad thing, either! I've been able to stay connected and share with family and friends, as well as meet wonderful new friends. It's been a great experience and I cannot imagine my life without it! Thanks, Sophia! And, now for the hard part since I just passed an award onto 7 wonderful people! Based on the requirements mentioned, I'm going to award Cyndi of So Much More Than a Mom because I think she does a great job of educating people through her posts, whether they be psych lessons, or recapping her Buddhist meditation class. Thank you SO much, this is so sweet of you! And congrats on your award too, you deserve it! I also enjoy your contributions to my blog via your insightful and honest comments. I love this crust idea. Wow, you only started September of 2008? Wow! I'm so glad your blog has achieved so much and have been so benefitial to you! I know a bit of your personal story as well, so I KNEW you were one person who HAD to have this award. You 120% deserve it! lol. Great post and congrats on the award! Never thought of the refried bean idea - brilliant! That firework taco pie looks AMAZING! I could have mexican every day and never get tired of it!! This looks delicious and a great invention! you're very creative!!! I'm always a fan of 1) Mexican Food, 2) Melted Cheese and 3) Dishes you can whip up without a trip to the store. Congrats on your reward and the pie looks soooooo delish! I found your blog via Hey what's for dinner Mom? This is a meal my family would enjoy. I love the way you made the crust.